What is the cheapest way to get from Orange to Bowral? The cheapest way to get from Orange to Bowral is to drive which costs $35 - $55 and takes 3h 43m. What is the fastest way to get from Orange to Bowral? The quickest way to get from Orange to Bowral is to drive which costs $35 - $55 and takes 3h 43m. Is there a direct train between Orange and Bowral? No, there is no direct train from Orange station to Bowral station. 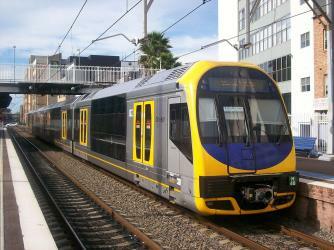 However, there are services departing from Orange Station and arriving at Bowral Station via Parramatta Station, Glenfield Station and Campbelltown Station. The journey, including transfers, takes approximately 7h 28m. How far is it from Orange to Bowral? The distance between Orange and Bowral is 180 km. The road distance is 281 km. How do I travel from Orange to Bowral without a car? The best way to get from Orange to Bowral without a car is to train which takes 7h 28m and costs $50 - $80. How long does it take to get from Orange to Bowral? 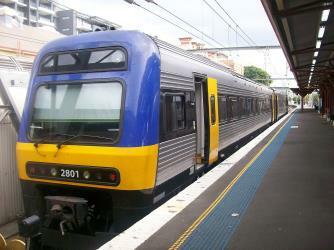 It takes approximately 7h 28m to get from Orange to Bowral, including transfers. Where do I catch the Orange to Bowral train from? Orange to Bowral train services, operated by Transport NSW, arrive at Orange Station. How long is the flight from Orange to Bowral? The quickest flight from Orange Airport to Sydney Airport is the direct flight which takes 50m. Where does the Orange to Bowral train arrive? Orange to Bowral train services, operated by Transport NSW, arrive at Bowral Station. Can I drive from Orange to Bowral? Yes, the driving distance between Orange to Bowral is 281 km. It takes approximately 3h 43m to drive from Orange to Bowral. What companies run services between Orange, NSW, Australia and Bowral, NSW, Australia? You can take a train from Orange to Bowral via Parramatta Station, Glenfield Station, and Campbelltown Station in around 7h 28m. Which airlines fly from Orange Airport to Sydney Airport? Regional Express offers flights from Orange Airport to Sydney Airport. Where can I stay near Bowral? There are 86+ hotels available in Bowral. Prices start at $150 AUD per night. How do I get to Orange (OAG) Airport from Orange? The best way to get from Orange to Orange Airport is to taxi which takes 13m and costs $35 - $45. Discover how to get to attractions and hotels near Bowral. The Berrima Correctional Centre is an Australian prison, located at Berrima, New South Wales. The Centre was operational between 1839 and 2011 with a number of breaks in between, and was re-opened in September 2016. Initially established as Berrima Gaol, the facility closed in 1909 and reopened in 1949 as the Berrima Training Centre. At the time of its closure, the Centre was the oldest Australian correctional facility in operation. Wingecarribee Dam, completed in 1974 as part of the Shoalhaven Scheme, is an earth and rockfill embankment dam structure located on the Wingecarribee River about 15 km southeast of Bowral in New South Wales, Australia. The embankment of 573 m3 is 19 m high and 1140 m in length. At 100% capacity, the dam wall holds back approximately 25875 ML and creates the impounded reservoir of Wingecarribee Reservoir that has a surface area of 625 ha, drawn from a catchment area of 40 km2. The spillway has a discharge capacity of 520 m3/s. Wingecarribee Reservoir lost around 9000 ML of storage capacity as a result of the inflow of peat from the Wingecarribee Swamp collapse in August 1998. The original storage capacity was 34500 ML. Macquarie Pass National Park is a national park in New South Wales, Australia, 90 km southwest of Sydney. 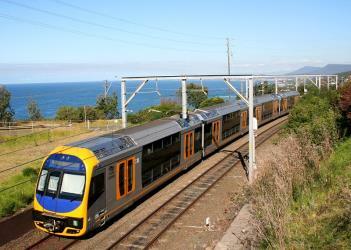 It is located around the pass of the same name, which is on the Illawarra Highway and part of the Illawarra escarpment. Harper’s Mansion is a historic homestead in Berrima, New South Wales. It is recognised for its Georgian design. Harper's Mansion is now a property of the National Trust of Australia (NSW), which acquired it in 1978. 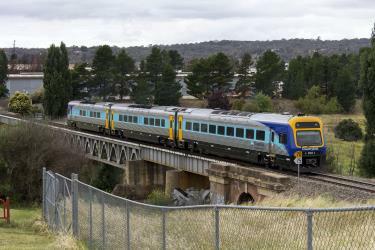 Rome2rio makes travelling from Orange to Bowral easy. Rome2rio is a door-to-door travel information and booking engine, helping you get to and from any location in the world. Find all the transport options for your trip from Orange to Bowral right here. Rome2rio displays up to date schedules, route maps, journey times and estimated fares from relevant transport operators, ensuring you can make an informed decision about which option will suit you best. Rome2rio also offers online bookings for selected operators, making reservations easy and straightforward. Need an airport transfer from Sydney Airport?